Clayton Ross Beauchamp, aka Clay was born January 16, 1991 in Weatherford, Texas to Diana and Jack. Clay had an older brother, Tim and younger sister, Cheyenne and numerous cousins that he grew up playing with during his childhood days. They were all very close in age and loved hanging out together. He was always the fun loving kind of kid all through his childhood. I don’t remember too many times that he was seen without a smile on his face, and that smile could light up any room. He loved spending time with all of his family and was the life of the party when we were all together. Throughout his school years he made friends with just about everyone he met. Teachers loved his quick witted sense of humor. He was a very responsible person and would always try to help others in any way he could. Clay’s father, Jack had two sons, Chris and Bryan from a previous marriage, but for some reason did not have a relationship with them. Chris was also in the Navy and was a FMF Corpsman. Clay knew his dad wanted to be reconnected with his sons, so he set out on a mission to try and get all his family back together. Before he even graduated from High School he decided he wanted to serve this country that he loved so much, so he signed up to go into the Navy as soon as he graduated from High School. 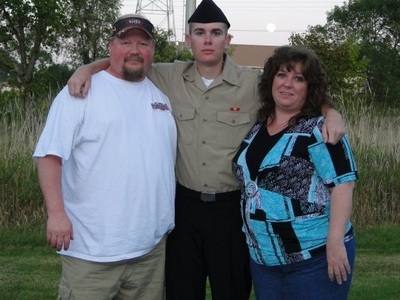 He graduated from Weatherford High School in June 2009 and left for Navy Boot Camp in July 2009. He was so excited about being in the Navy and serving his country. He spent 8 weeks in boot camp training to be a soldier then from there he went into Navy schooling for his medical training. After moving to Florida and training in the hospital for 2 years he decided he wanted more, so he made the decision to go into FMF (Fleet Marine Force) training. After all his training was complete, he was deployed to Afghanistan in July 2012, where he was assigned to the 1st Battalion, 1st Marine Regiment, Regimental Combat Team 6, 1st Marine Division, I Marine Expeditionary Force, Camp Pendleton. 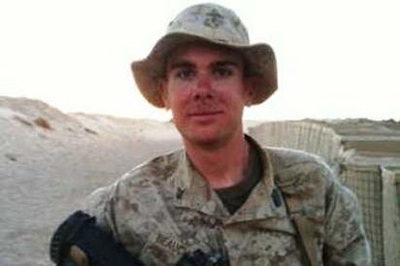 On August 7, 2012 we were informed that he had been KIA (Killed in Action) from an IED (Improvised Explosive Device) while on dismounted patrol. His older brother Chris was also deployed to Afghanistan at the same time as he was but was with a different unit. Chris escorted Clay to Dover Airport where he was met by family. Clay was then escorted the rest of the way home by a buddy of his named Jake Munsey. We never realized the impact that Clay had on so many people until they all came out of the woodwork to show us their support when he was killed. His death was the most devastating thing that our family has had to go through and we are very thankful for all the support around the country. Our family has grown so much because of the way he was able to love and respect people. We now have his friends all over the world that we feel are our family because he too felt as if they were his family. Clay succeeded on his mission of bringing all his family back together, even after his death he worked his magic of love and now his father has a relationship with his other sons. Life without him has been very hard but we try to make the best of it by sticking together as a loving family as Clay would have wanted. May You Eternal Light Never Be Extinguished!